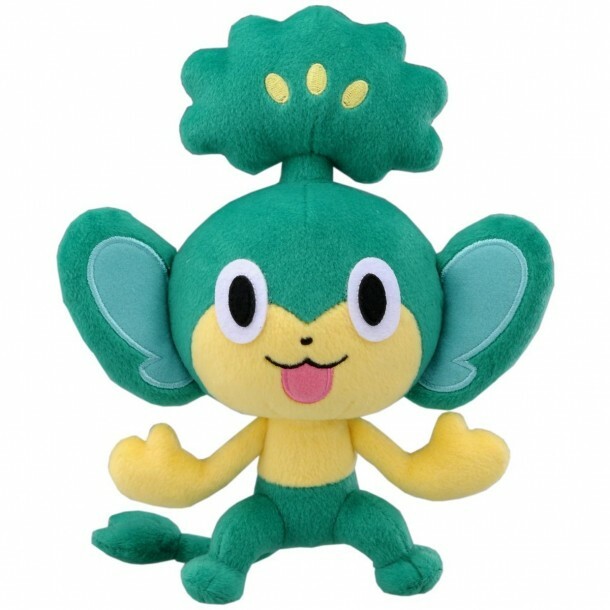 Yanappu/Pansage is a primate-like, green-and-yellow Grass-type Pokémon. The proportion of its head and large ears are similar to that of Aipom. The upper half of its head and the broccoli-like sprout atop is green, exempting a pattern of three yellow, tapered seed-like shapes in the sprout's "foliage". Pansage’s eyes are oval-shaped, with large pupils, and the lower half of its face is yellow with a small, dot-like nose. Its upper body and its skinny forelimbs are also yellow, and its hands seem to have no fingers, aside from thumbs. Pansage's lower body is green with small feet, and its wiry tail is tipped with two leaves.